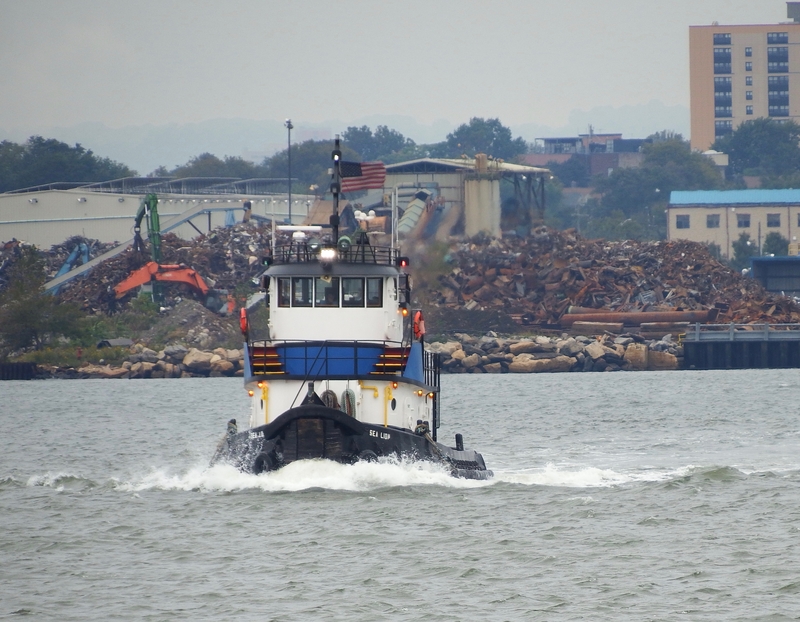 Seeing a tugboat on a mooring in the sixth boro is unusual, in my experience, and I took many shots. This is my favorite. 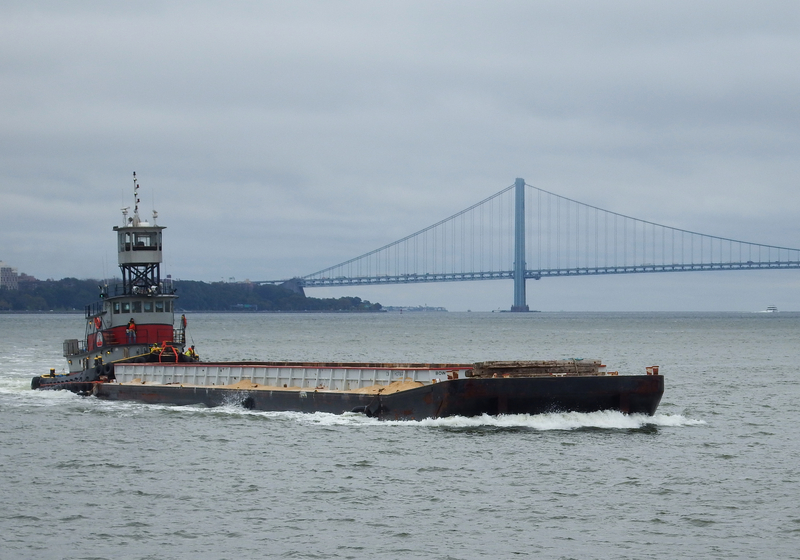 Neptune the other morning headed for sea along the sylvan banks of Staten Island. 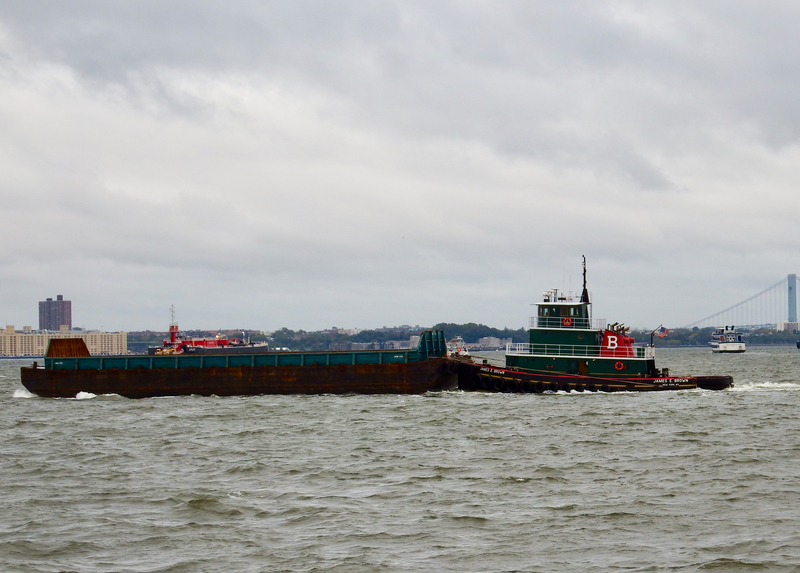 James E. Brown moves a scow, likely to be filled with scrap metals. Brian Nicholas travels to a job . 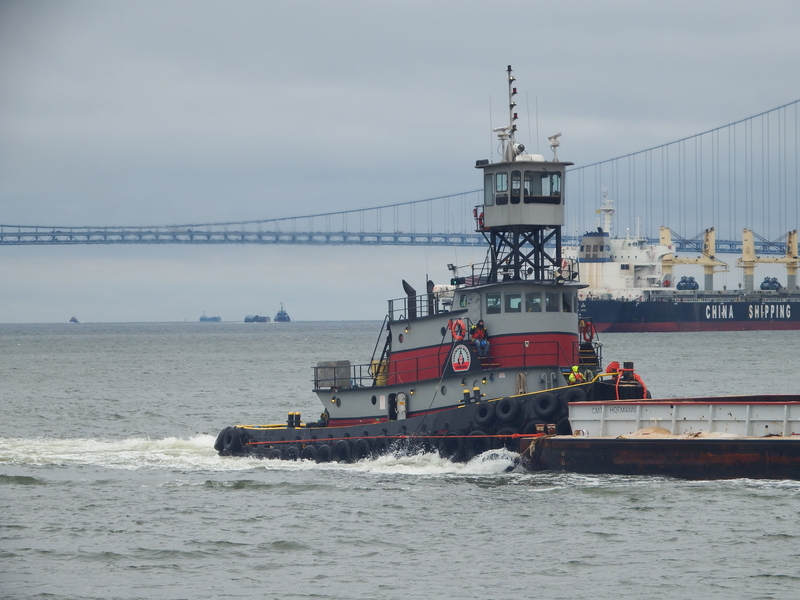 . . that’s New Jersey off her starboard. JRT Moran crosses the Upper Bay enroute to an assist. Genesis Eagle travels along Brooklyn’s Owl’s Head. 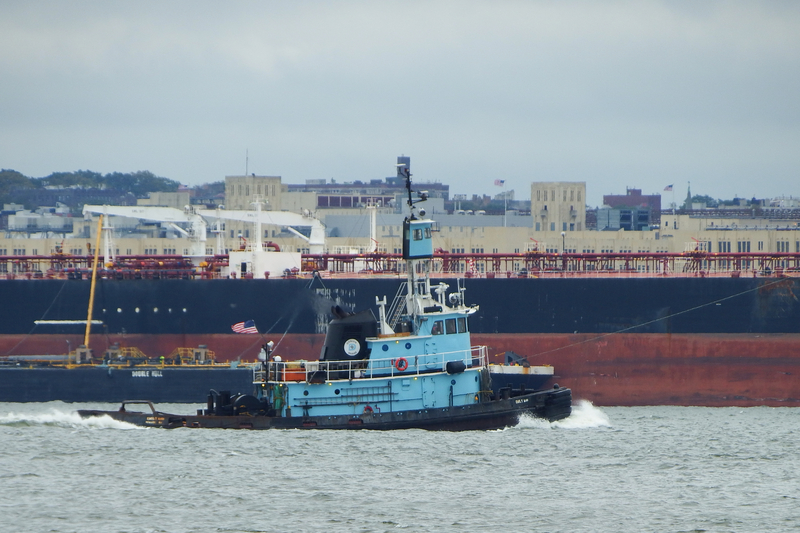 One almost has the illusion here that Emily Ann is on assist with that tanker. Almost. Sea Lion heads out of her base to grab . . . a recycling barge perhaps. 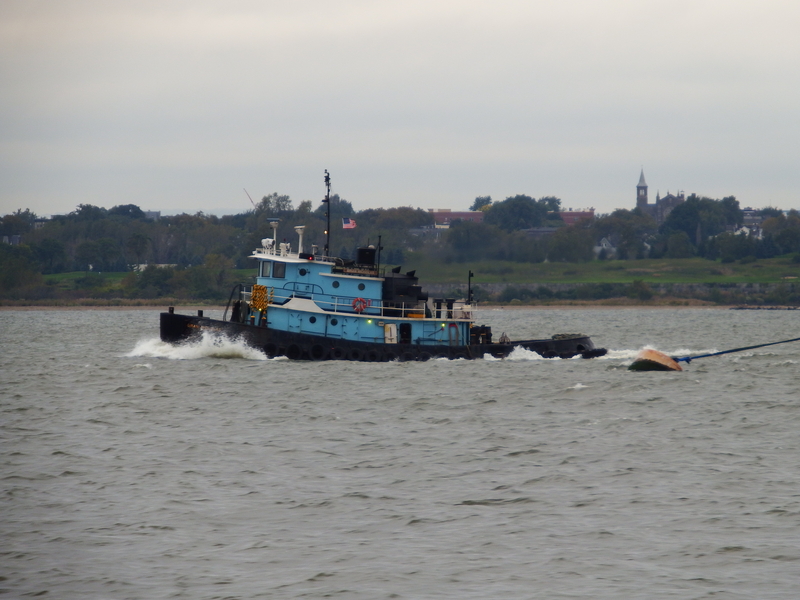 And Atlantic Salvor continues shuttling dredge spoils from somewhere off the bottom of the North River. 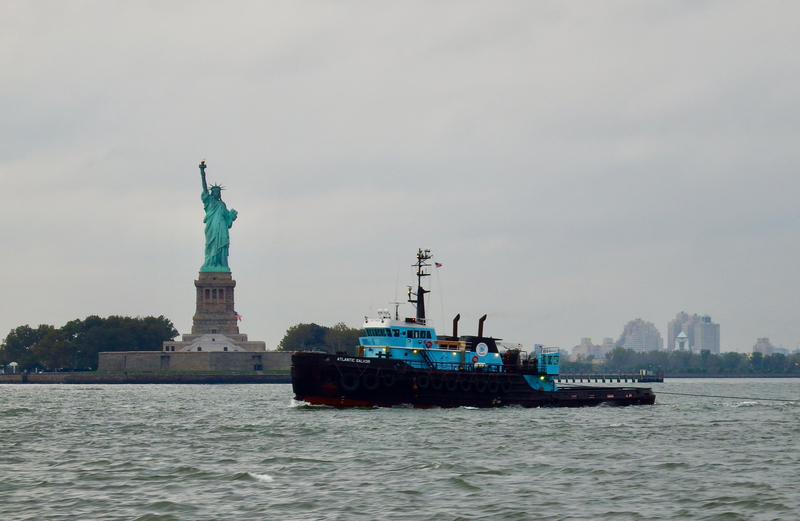 Fondly recall the first Atlantic Salvor, once named the Independence Service, built and owned by Zapata Marine. As many are aware, one of the best Oilers in the business, lost a finger on the forward engine room ladder. Don’t ask me how I know…. Ninefinger . . . I’m so sorry to hear that. First ATLANTIC SALVOR owned by Don Jon was INDEPENDENCE SERVICE built for Zapata Marine as a supply vessel. 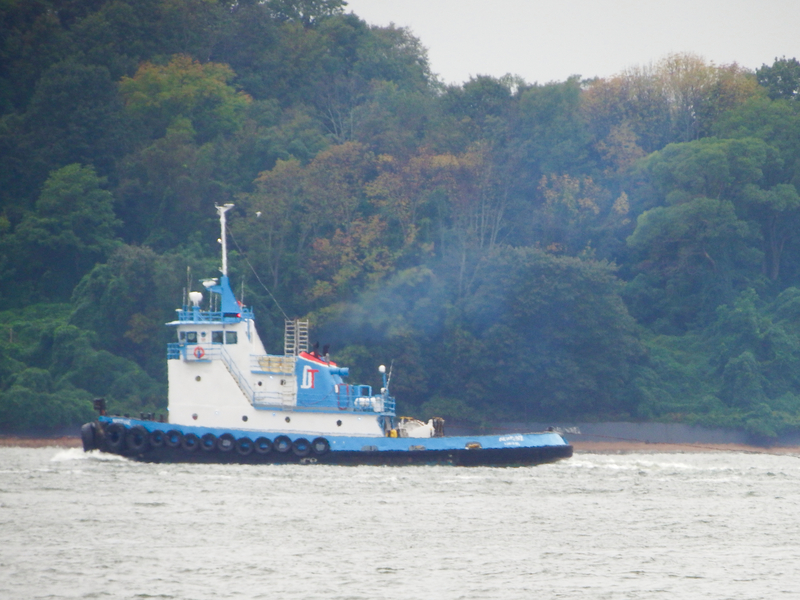 Don Jon acquired her in 1991, and she did a lot of ice assist work in the Hudson River. 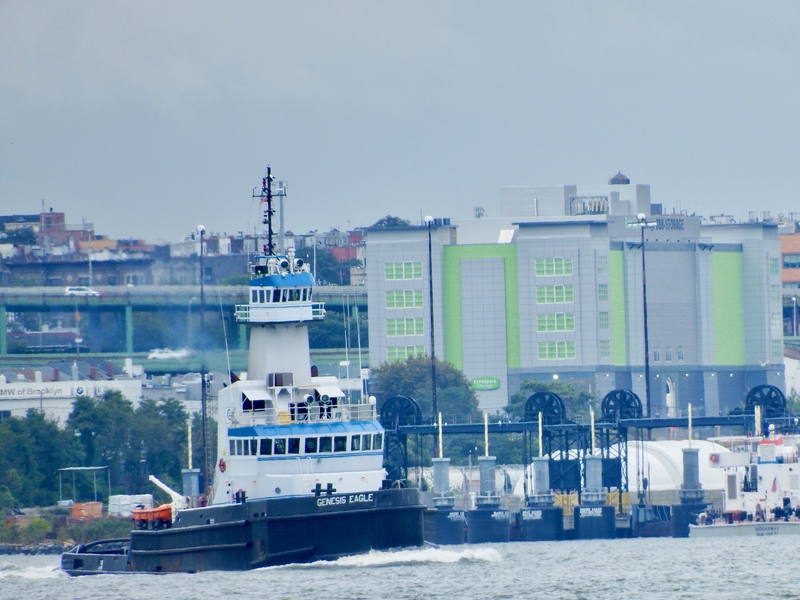 She was sold in 1998 to Seabulk Offshore LLC, & renamed SEABULK NEVADA. 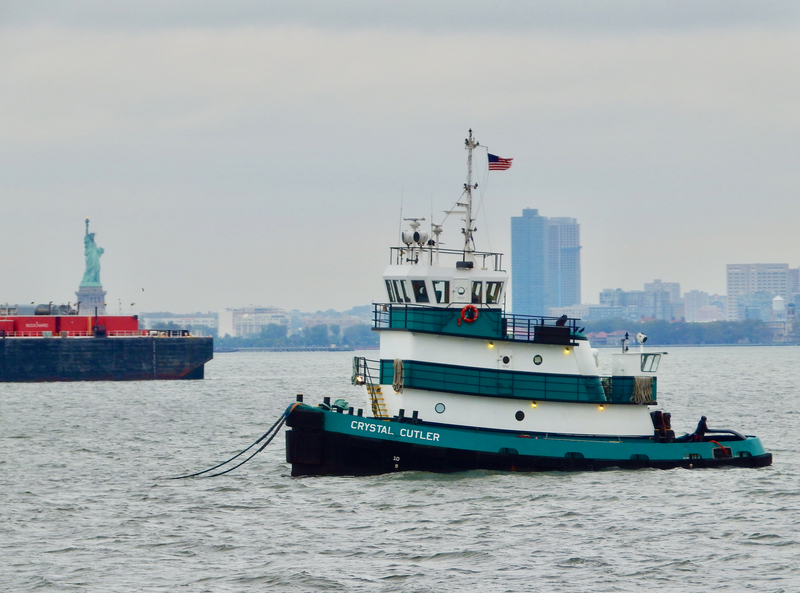 Seabulk sold her In 2008, to Cook Inlet Spill Prevention and Response Inc., Kenai, Alaska., and she was renamed PERSEVERANCE. 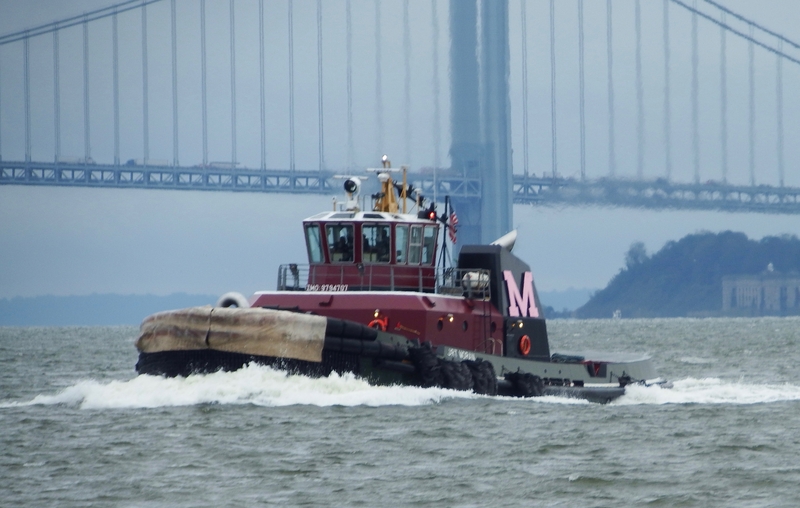 The present ATLANTIC SALVOR owned by Don Jon, and acquired in 1998, is ex- MR. DARBY built for the Jackson Marine Corp. 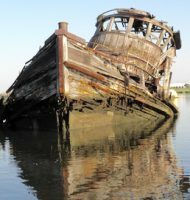 I will have to investigate, but as I recall, Seabulk Nevada was the former Heritage Service, Similar to Independence Service, but Heritage Service was the first of four similar vessels, but equipped with controllable pitch propellers, Heritage, Freedom, Liberty and Pioneer Service were proceeded by the Independence and Constitution Service. I was told the Independence Service went aground on the west side of Puerto Rico, and was a total loss.